Technology Timeout: I Didn't Know That! Calling all Mac lovers! Growing up, my mom was very tech-y. I remember we had a computer in our dining room since I was in 3rd grade (we are talking 1990ish), and I would impress my teachers by typing and printing my papers (the printer had those circle things on the side that fed the paper into the printer that you had to rip off) to turn in. All of the computers we ever had were PC. Fast forward to my first real job as a grown-up, when I started working in a school that was all Mac. I knew my way around a computer, but not a Mac. At first, I hated it. It was so hard figuring out everything that seemed so very different from my trusty ole PC. But then I used it more and more, and began liking some of the easy-use features (drag and drop, anyone?!?). Then I got an iPad - wow! Then I started creating products for TPT and realized a Mac would be perfect for creating products. So I saved and saved and saved (for 2 years!) and finally bought my first MacBook Air - love! And I finally broke down and got an iPhone for my birthday last year. I'm totally Mac - and I'm not going back. 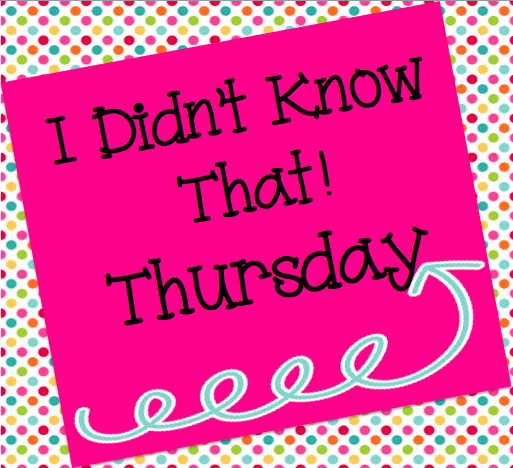 I'm linking up with Teaching Trio (I love them!) for their Technology Thursday. Today, I'm going to share about something cool with the iPad. The newest operating system iOS 8 has a really cool feature! You may or may not know about Guided Access, which is a way to 'lock' kids into an app so they can't get out. To turn on this feature, go to Settings -> General -> Accessibility -> Guided Access. Turn it on and add a passcode (you have to remember what it is to turn it off, so make sure it is easy to remember!). 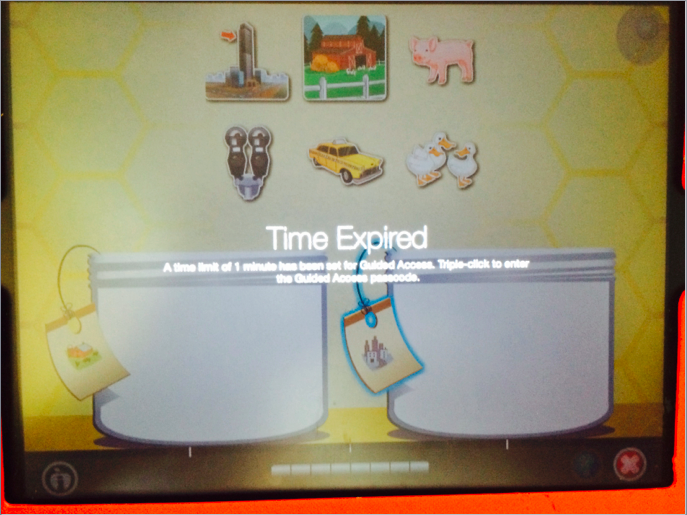 In the bottom right corner is a Time Limit button. Turn it to on and choose the time limit. When 29 seconds are left, a message appears at the top notifying you of the time remaining (I'm not sure why they picked 29 seconds, not 30!). When time is up, this message appears on the iPad. There is nothing the students can do anymore when this happens. When you triple click the home button again, this pops up. 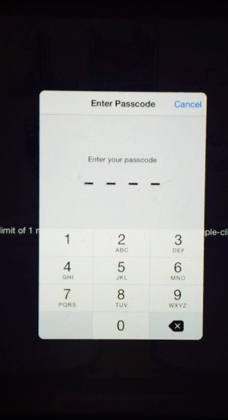 You need to the put in your passcode and it unlocks the iPad. I see this being great for my son. I often ask him to use a particular program on the iPad (to practice letters or math, for example) for 5 or 10 minutes. He is constantly asking how much longer. Using this, I can lock him into the app and he can't do anything but that app for a specific period of time. 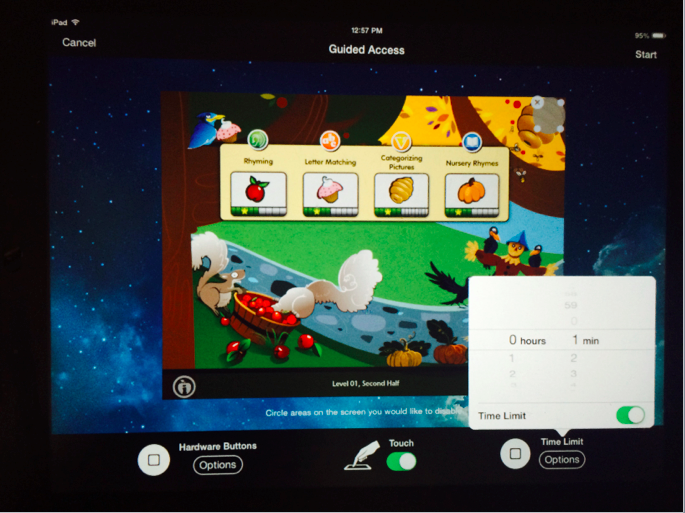 It is also great if you give your kids (or students) 5 minutes of free time on the iPad. Then they won't be able to use it longer! I love all of the cool new features Apple is adding to their products and I can't wait to share some of the other cool, new tricks I have learned! AWESOME! Thanks. I didn't know of this either. I will be using this with my kids at home as well as at school.